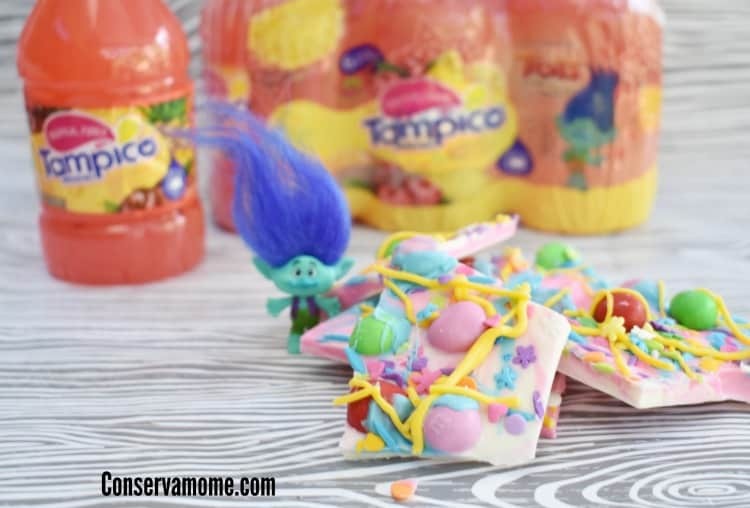 I’ve partnered with Tampico Beverages to bring you a fun new contest as well as a delicious Trolls Themed Bark Tutorial. All opinions are 100% mine. We are HUGE Trolls Fans in our home. The kids fell in love with these fun characters back when the movie came out, but the fun continues with DreamWorksTV’s animated series, “Trolls: The Beat Goes On” on Netflix. The show picks up where the film Trolls left off following Queen Poppy, her boyfriend Branch, the Snack Pack and the other Trolls, and their Bergen pals, as they experience everyday life in Troll Village . 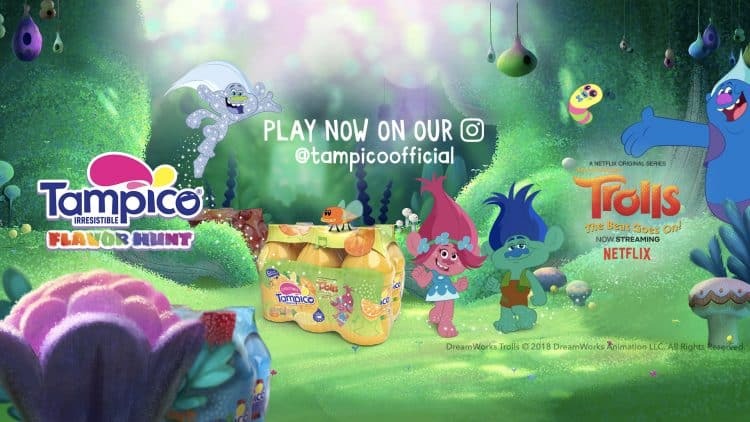 In honor of this fun show, Tampico Beverages has partnered with DreamWorksTV and created “Tampico Flavor Hunt,” an interactive Instagram-based game. The hunt takes players through four worlds within the Troll Village to find the hidden “Trolls: The Beat Goes On” branded Tampico multi-packs. To start, players will visit the Tampico Instagram account online or through the Instagram app. There is a chance to collect multipacks in all the irresistible flavors, including Tropical Punch, Citrus Punch and Blue Raspberry. If the players succeed, they will be entered to win a $100 Netflix gift card! So what are you waiting for? Head to the Tampico Beverage Instagram page to begin playing and find your own Beverage packs. In the meantime make sure and head to the store and grab your own Tampico Beverage like we did to enjoy with your family! Tampico has been a favorite drink of mine since I was a little girl. This delicious beverage has a new look, but the same great taste we all love! 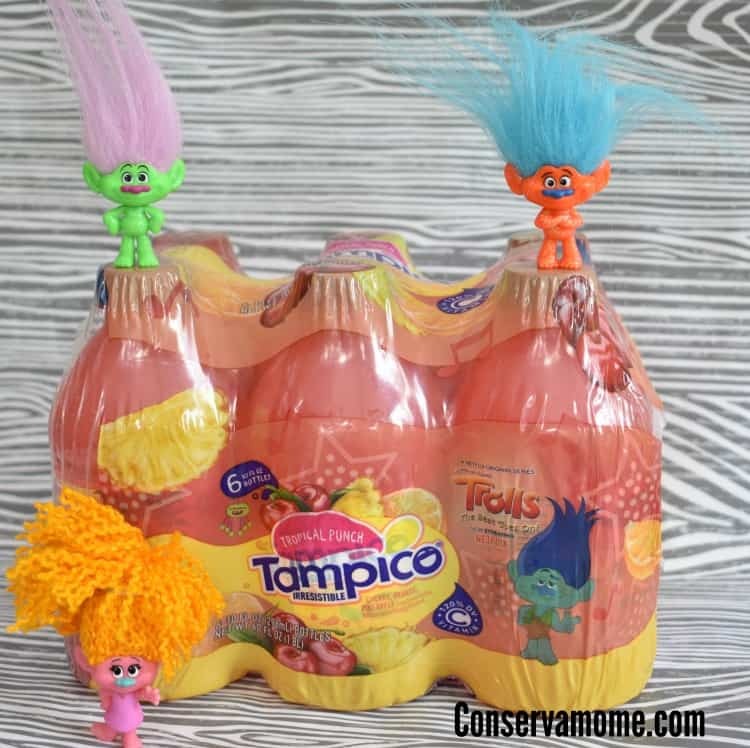 Enjoying the delicious Tampico flavor was never easier than in these delicious 6-pack bottles that are perfect for sitting back and enjoying while watching the Trolls new season, on a hot summer day, or with your little one’s school lunch! 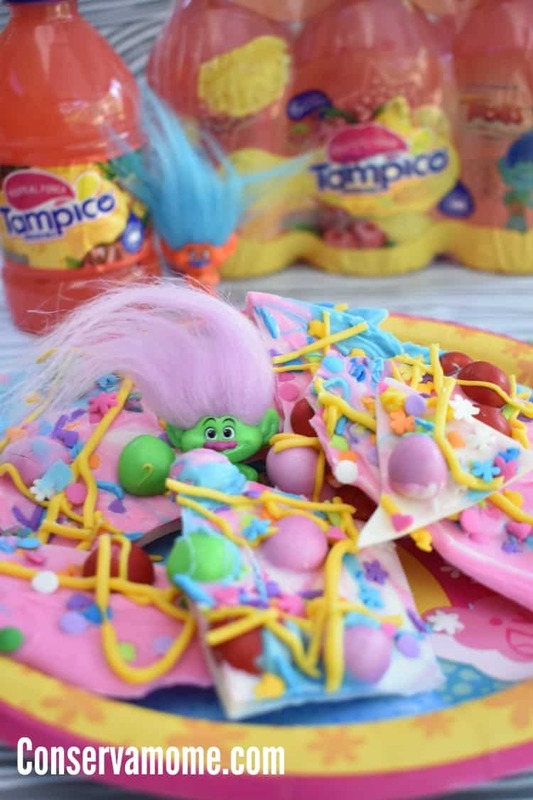 As part of the fun I’ve partnered with Tampico to bring you a fun and delicious Trolls: Themed candy bark tutorial. A treat that can be washed down with some delicious Tampico Beverage! A variety of your favorite candies including flowers, hearts, and multi colored sprinkles. Look within your inner troll to see the sprinkles that inspire you! Directions: Melt the white and pink colors and spread over a cookie sheet lined with parchment paper. Add the various sprinkles, and candy. Melt the blue and yellow candy melts and add to a candy squirt bottle and decorate with swirls. Have a fun time making this colorful and fun. 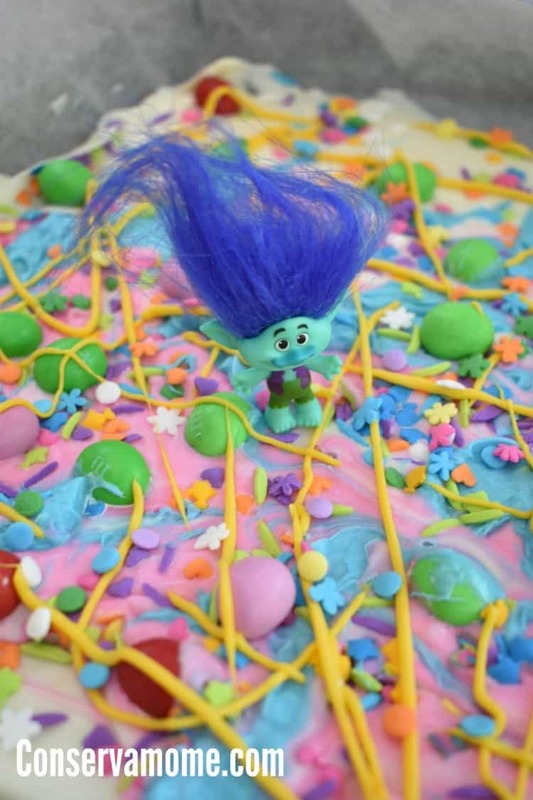 Making this a “Troll-icious treat! 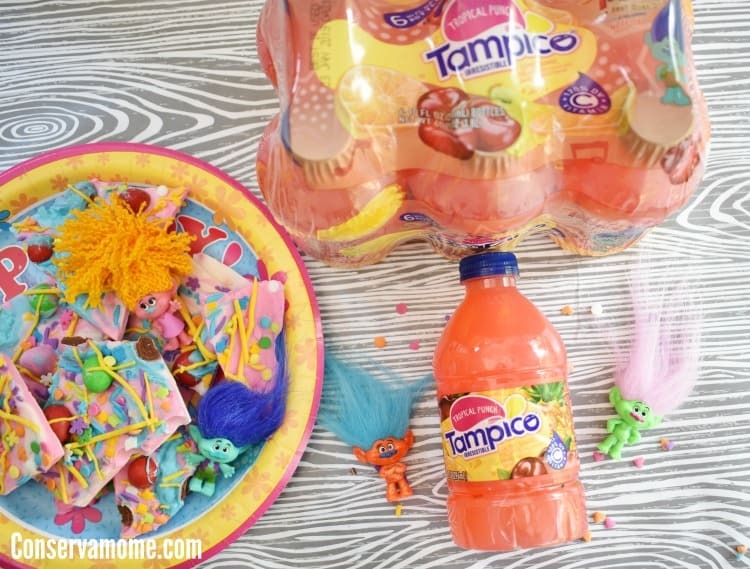 Make sure and go on your own “Tampico Flavor Hunt” in real life to find these delicious beverages in your local grocery store and make these tasty treats as well! Most important get social with Tampico on Facebook, Instagram & Pinterest. The candy bark recipe looks easy and would be fun to make. What a great theme for a party. This looks amazing! Unique and fun and that is exactly what we are looking for. I was a little surprised at how EASY this looks!! Wow! This is a cute idea! Perfect activity for kids and families. The best part of it, Tampico drinks are involved! Super cool! 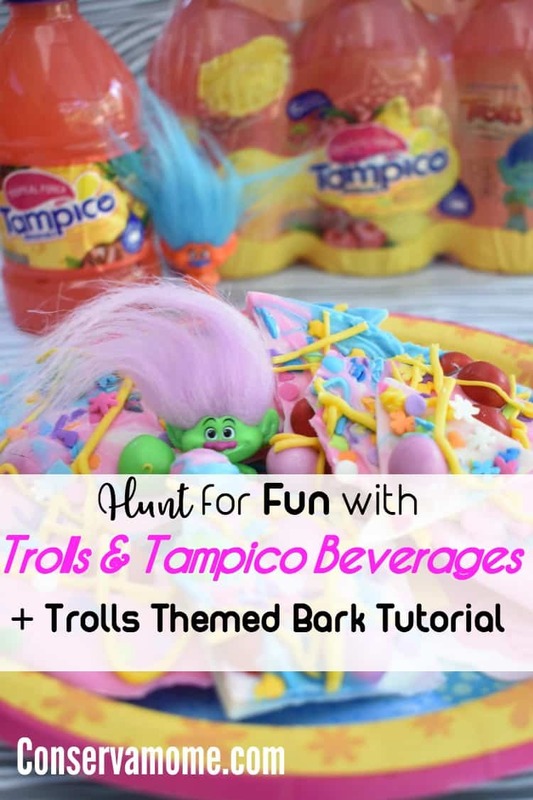 hunt for fun with trolls & tampico beverages + trolls themed bark tutorial; This are really neat, I know that my five year old grandson would really like these to drink. That bark is a pretty neat idea. I love how colorful it is.